The 3am Teacher: S.M.A.R.T. 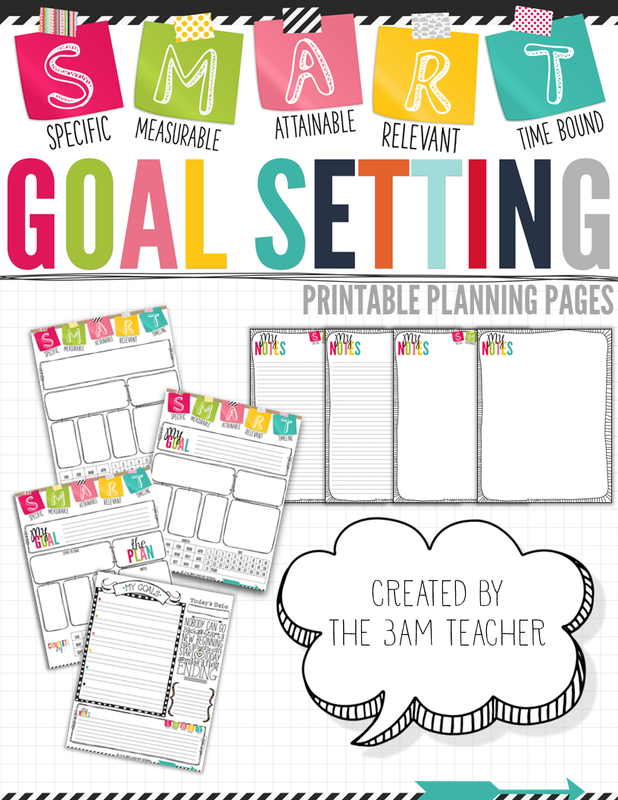 Goal Setting Tips & Printable templates! S.M.A.R.T. Goal Setting Tips & Printable templates! When I was MUCH younger than I am now, I used to have the most vivid dreams about flying. I don't know whether these dreams were related to my home situation, but whenever I had them, I woke up "knowing" that I was capable of flying. I just "knew" it was possible. One of these times, I decided I would give it a try. I decided to tie my bed sheet around my neck... just in case I didn't quite succeed on my first try... you know... like a baby bird first beginning to fly. I was completely unaware that tying anything to my neck could cut off my air supply, and the thought of suicide had never even crossed my mind. I carefully tied one end of the sheet with a slip-knot on the bar at the back of the bed... to give me jumping room.. and the other end of my sheet to my neck. After already tying the other end to the bed, it was a little tricky tying that other end to my neck. After going to a piano lesson with my friend when I was in 5th grade, I begged my mom for a piano because I just knew I could play it... I never got a piano, but I did get one of those hand-held Cassio pianos... which at the time... was AWESOME! I opened the box, scrounged for batteries and turned that thing ON!! I remembered my friends' fingers, the positioning, and mostly, the tune and sound of the correct keys. I played several of the songs on the piano, which people were amazed by, but I never learned to read the music... Not that I couldn't, I just never had the desire to do so... or a piano to inspire me to learn a new skill. I also kept keep a journal next to my bed because there were many nights I just HAD to draw whatever it was I had been dreaming about. I am in awe of how intricate our brains are. Back to the flying... by now, you can probably imagine why I truly believed I had the ability to fly. Luckily, that second attempt to tie the sheet to my neck was not very good, because I slipped right out of it as soon as my weight gave the sheet a tug. I chose not to try again because I failed miserably. There was not even a moment of flight or feeling of weightlessness... I went straight down and knew I would never fly. Just like my leap of brilliance off of my bunk bed, I believe that we often take these types of leaps in our day to day lives when it comes to setting attainable goals and preparing steps to achieve those goals. We come up with a brilliant idea or "plan" and we take that leap without really putting enough thought or planning into the original plan; causing us to fail miserably. Once most people fail miserably at something, they are far less likely to try that "thing" (whatever that thing may be) ever again. However, maybe if they had had a better plan... their idea could have transformed into something great. Big ideas, with consistent goal setting and planning, can prove to be quite rewarding in the end. If I had known that flying was (is) impossible for a human body, then I might have moved onto something else that morning... you know... instead of almost hanging myself with a bed sheet. 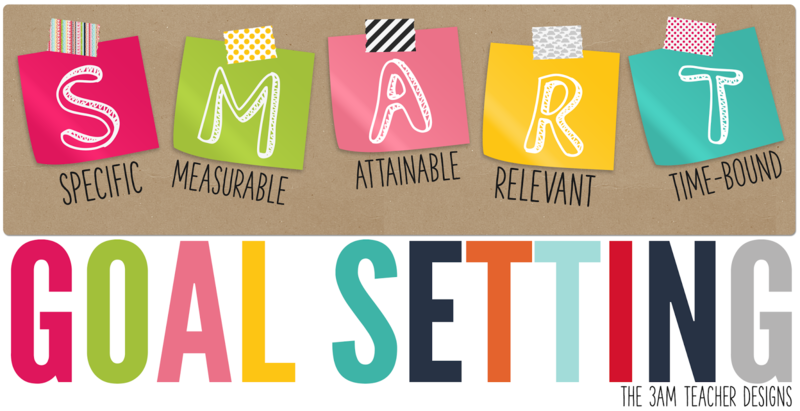 Here are a few S.M.A.R.T goal setting tips that might help you get ready to begin setting some new goals. I have also created a fun file with several goal setting templates and note pages that you can print and use at any time for only $2.00!! Click below to check it out at one of my online shops!! Thank you for stopping by & I hope you begin setting goals for yourself and reaching new heights in both your personal and professional lives!! I so love this!! Have you ever thought about creating colouring in pages? I think your B & W graphics would be awesome as pages to colour!! LOVE, LOVE, LOVE! 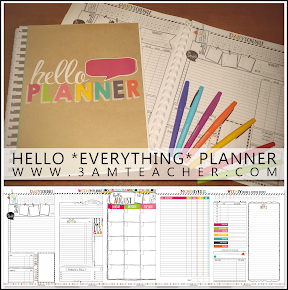 I'm going to highlight this post and this resource on a New Year's Blog post!